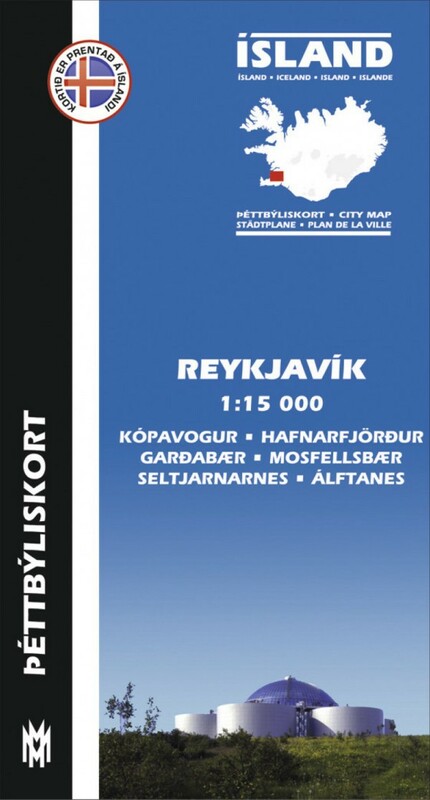 Reykjavík og nágrenni 1:15 000 - Map of Reykjavik Capital Area. Map of Reykjavik Capital Area. A high-quality map of the capital area – Reykjavík, Kópavogur and Garðabær – showing every street and neighborhood. On the reverse are street maps of Hafnarfjörður and Mosfellsbær, and an index of street names for the entire capital area. Routs out of the city are clearly indicated, for the convenience of foreign visitors.